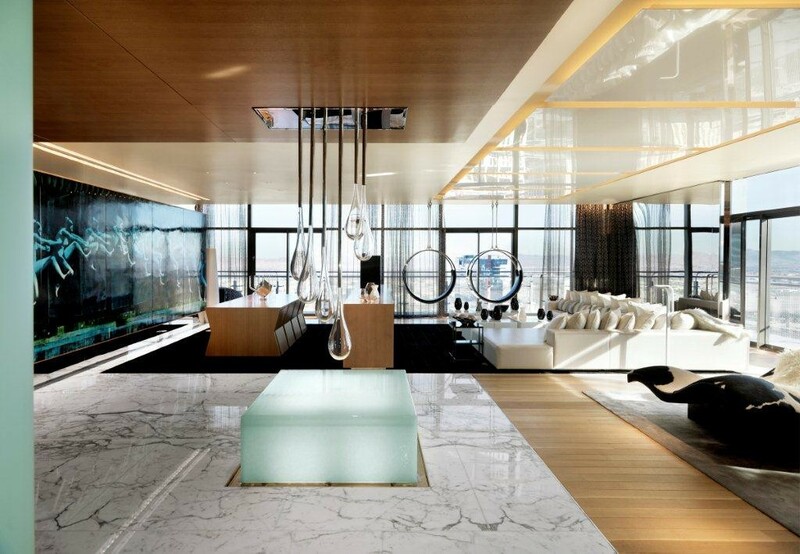 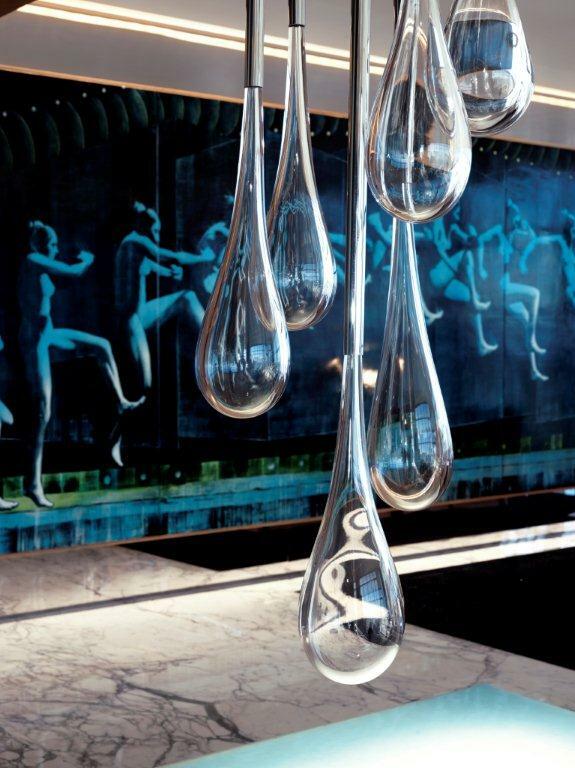 DG blown glass sculptures create a dynamic artistic lighting solution to the vast and impressive space in a premier Las Vegas High Roller Suite. 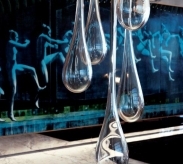 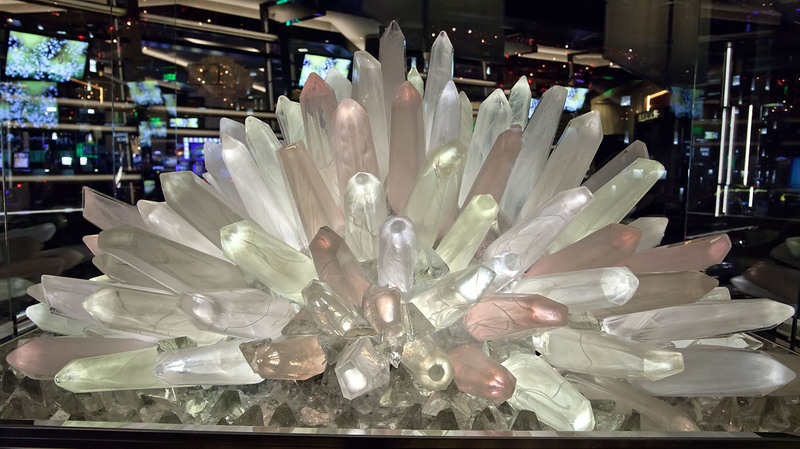 The Crystal Sculpture by DG was created to draw attention to the entrance of this hotel venue. 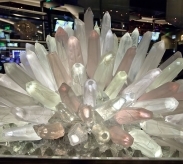 This magical and mesmerizing work of art naturally attracts passerby’s through blown glass and color changing lights.